For much of August, the oil market has shown signs of breaking the $45-55 per barrel range – in which it has been stuck of late – toward the upside. Yet, the moment it hits the upper end of the range, a sell-off ensues. It can be explained away by merely focussing on the supply side of the argument, i.e. global inventory rebalancing not proceeding at pace, and OPEC’s own compliance faltering. However, that is only part of the explanation. Two other variables – China’s demand growth and market perception on what would happen when the current OPEC arrangement ends [in March 2018] – are also influencing trading patterns. Admittedly, the Brent forward curve has moved from contango into backwardation, i.e. where prices for immediate delivery are higher than those for later delivery. Conventionally, that is considered a bullish sign for prices since it is indicative of demand outpacing supply in the world of "here and now." However, the Oilholic is not convinced, as what we are witnessing is a not a conventional market. This blogger remains net short and here are one’s reasons for it via a Forbes post (click here). Have a read, alternative viewpoints are most welcome – just ping an email across. But that's all for the moment folks! Keep reading, keep it crude! © Gaurav Sharma 2017. 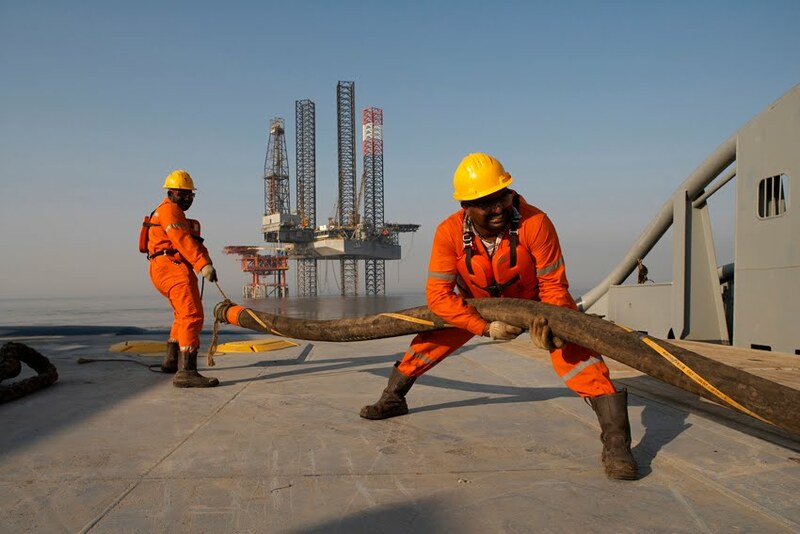 Photo: Rig workers © Cairn Energy.